Students gathered in the Mount Carmel Auditorium on Tuesday, Feb. 25 to have a conversation about race, safe spaces and how to keep students talking about these issues. From left to right: University Honors Program Director Kathy Cooke, sociology professor Don Sawyer, legal studies professor Sujata Gadkar-Wilcox and sociology professor Keith Kerr lead the discussion with students. 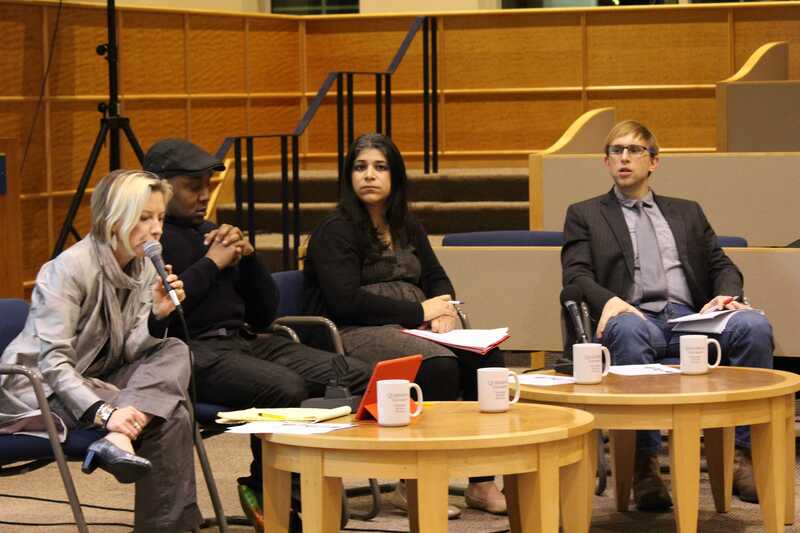 The purpose of the town-hall style discussion, called “Continuing the Conversation: Safe Space, Race & Racism,” was to engage the campus community in a conversation on what safe space are and how racism affects both Quinnipiac and the United States. Problems associated with racism have been a prominent topic on college campuses recently, particularly after the events that took place at Yale and the University of Missouri last year. The university’s Honors Program hosted the event, and history professor and University Honors Program Director Kathy Cooke moderated. The panel consisted of Keith Kerr and Don Sawyer, both sociology professors, as well as Sujata Gadkar-Wilcox, an assistant professor of legal studies. Sociology professor Keith Kerr discusses racism in society at the forum. and held in partnership with the Center for Cultural and Global Engagement. Sawyer responds bluntly to a question regarding the reality of racism. “The idea or existence of racism is not an opinion–it’s a fact,” he said. Students raised questions pertaining to diversity, how much diversity is “enough” and whether or not it can be quantified. “We don’t really have a sense of understanding of what’s happening with someone whose experience we don’t share and this creates a larger gap,” Gadkar-Wilcox said. Many students were interested in understanding how to get people more engaged in a conversations about race or racism. One member of the audience suggested that students need to do a better job of making their problems known. Others said even if people aren’t listening, it doesn’t mean students should stop talking about these topics. 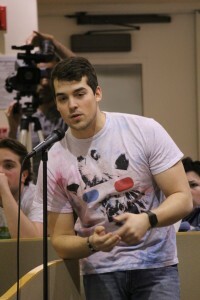 Senior Gerard Lisella speaks at the event. Ayanna Simpson, a junior biology major, suggested people have to take it upon themselves to be proactive and understand people’s differences. By the conclusion of the event, many students were still eager to continue the conversation and share their thoughts. 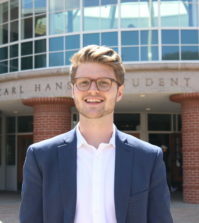 “I’m really thrilled with the student participation and the sort of creative energy that went around exchanging feelings and experiences and an inkling of solutions,“ Cooke said. 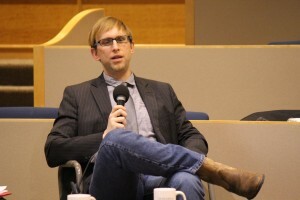 The University Honors Program hopes to hold similar events in the future alongside existing discussion groups on campus. Zachary Blanchard, a University Honors Program student who helped organize the event, said he thinks students should continue to talk about the social issues addressed at the event. “Let’s talk about it more and I think the more we talk about it and the more the student body realizes their voice can be heard,” Blanchard said. To learn more about the conversation visit the Quinnipiac Honors Program website.